Today I just received my first ever booking from Nunavut. 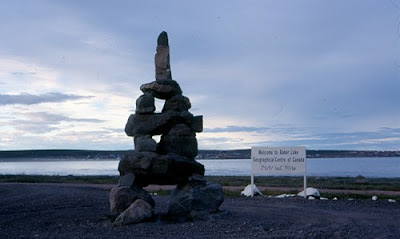 Baker Lake, Nunavut, to be exact, which is located almost at Canada’s geographical centre. My future guest, who has just booked a week in July at La Maison de la Vieille Vigne, wrote that today in Baker Lake it is -39 degrees outside and that the sun is rising at around 10:30am and set to go down at around 2:30 pm. Franck, who like many French boys was reared on a steady diet of Jack London novels, was ready to jump on the next airplane and fly up North when I told him of this. Snow! Dogsleds! Aventure! I have managed to restrain him, but I have to say – from Baker Lake to Burgundy…the Internet can be a very cool place indeed. This entry was posted in Vacation Rentals R' Us on December 8, 2009 by admin.